It’s rare that I buy meat or chicken that’s comes already marinated in a package. I normally would make any marinade I wanted myself. Still I saw this product, boneless chicken thighs, which looked promising and thought I would try it out and report on it here. 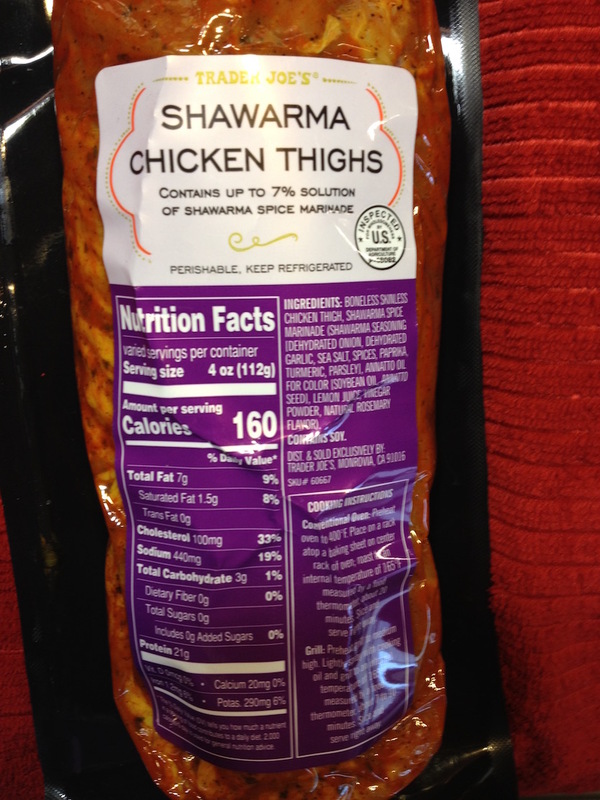 In short, I liked these SHAWARMA CHICKEN THIGHS a lot, and would buy these again. They’re quite good! These are skinless, boneless chicken thighs so very convenient to use. Just take them out of the package (messy, I used tongs), toss them in a hot pan, or on a grill, or broil them, and they will be ready in about 15 minutes. I cooked these thighs in a pan, grilled as suggested, about 7 minutes or so per side, in a black cast iron pan with olive oil over a medium fire till they were a nice golden brown color on the bottom. I flipped them over and cooked them till the other side was done about the same time. So maybe 15 minutes total? The kitchen smelled great while I was cooking these. 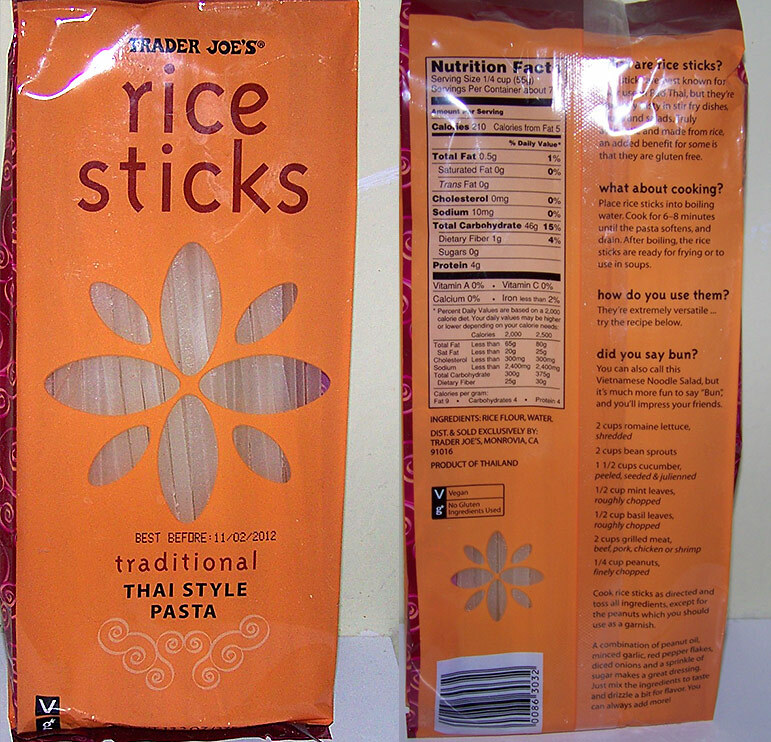 The spices they use are very nice, Middle Eastern, flavorful but not overpowering. Of course you could add even more spices if thats your bag (fresh garlic, cumin, or something spicy…) They aren’t spicy/hot. Take them out of the pan and rest them for a few minutes. You could hit them with some lemon juice. They don’t need it but its a nice fresh addition. I could have used a tiny bit less salt, which is listed a bit high in the Sodium count. But it was not salty especially with other food, and as I served it over rice, fine. I served these with TJs’ “ZHOUG” Yemeni green hot sauce, which is quite spicy, and it matched well with the whole Middle East flavor going on. SHAWARMA CHICKEN THIGHS cost $4.49 a pound. The 1.5 lb package I bought was $6 and I got two meals for two from it with sides. This would be great sliced up and served SHAWARMA style on pita, with veggies and a tahini or yogurt garlic sauce. 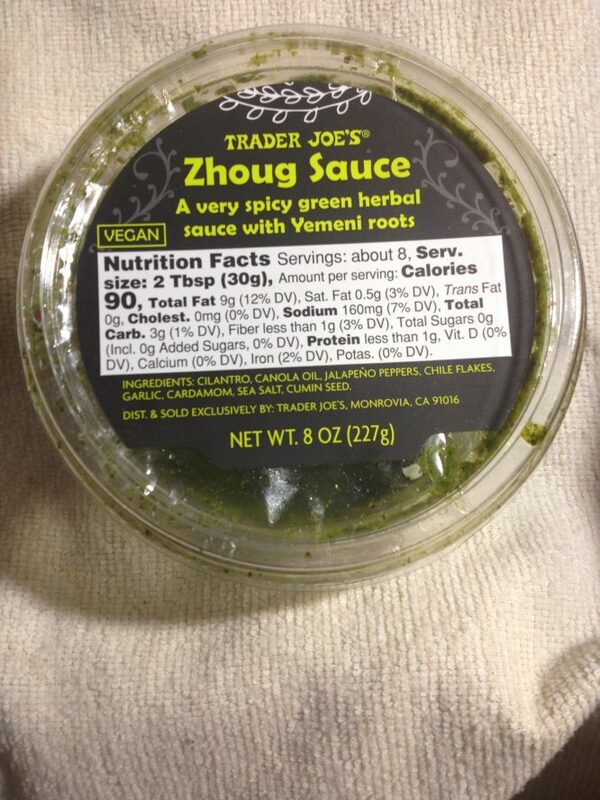 Or try TJ’S ZHOUG SAUCE if you can handle the heat! The second dish I made with them: Chicken Tacos/fajitas. 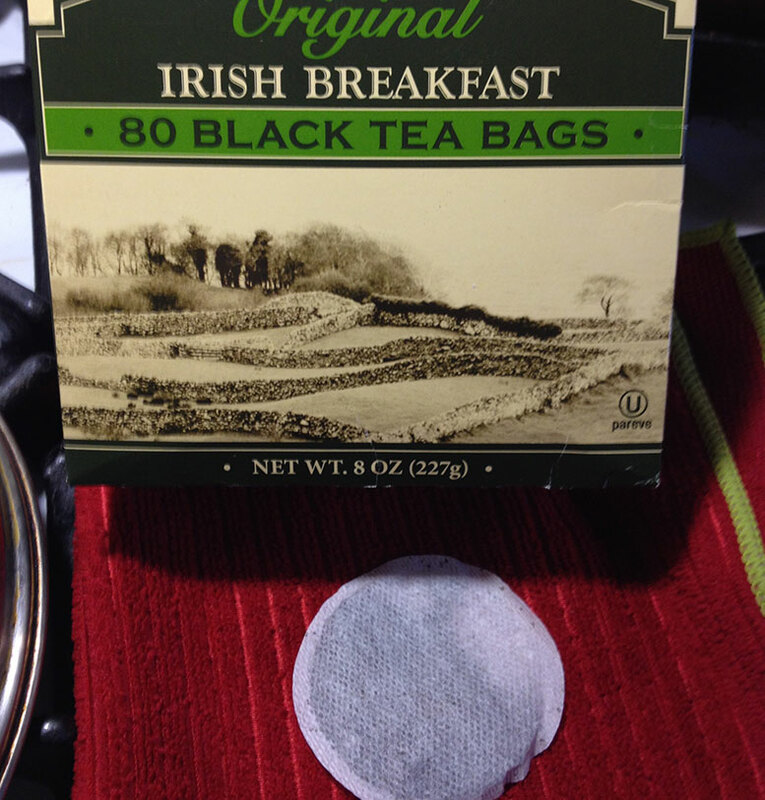 Despite the slight cultural melange, they were great for in that dish too. YES REAL SHWARMA IS COOKED ON A ROTATING SPIT….. The other night I came home tired and hungry. I looked in the fridge and saw nothing really to eat. I wanted something hot and delicious that would not require any time at all. I looked in the cupboard and saw 2 things, a package of TJ GNOCCHI plus a jar of TJ PESTO ALLA GENOVESE. FANCIER? A drizzle of a great EVOO…. Freshly grated Parmigiano or Pecorino (or Mozz?) Fresh ground black pepper. Optional: Green it up with some chopped arugula (or parsley or baby kale). I added in some Arugula to the pot and stirred for about 45 seconds until it wilted a bit into the pesto. YUMMY! With 2 slices of toasted bread, some greens and dressing, a glass of wine…we had a full nice dinner that took almost no effort and very little time. 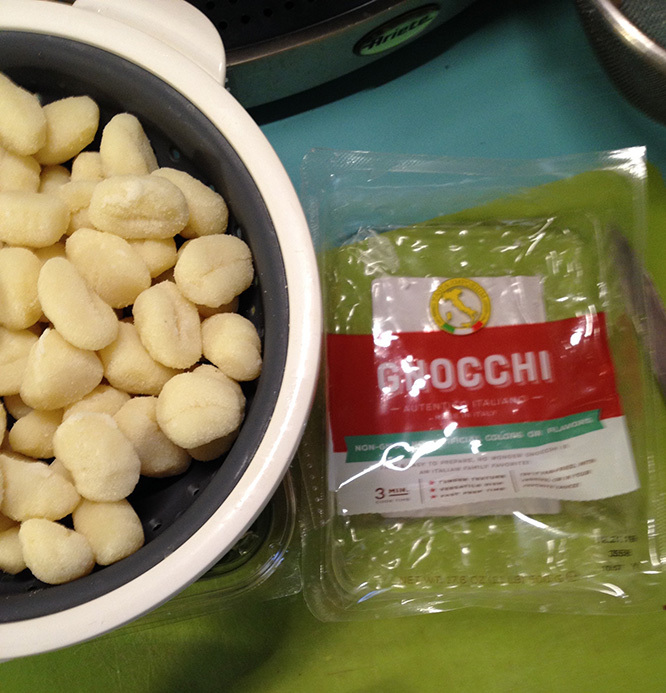 COST – TJ’s Gnocchi (1 lb) costs $1.69. 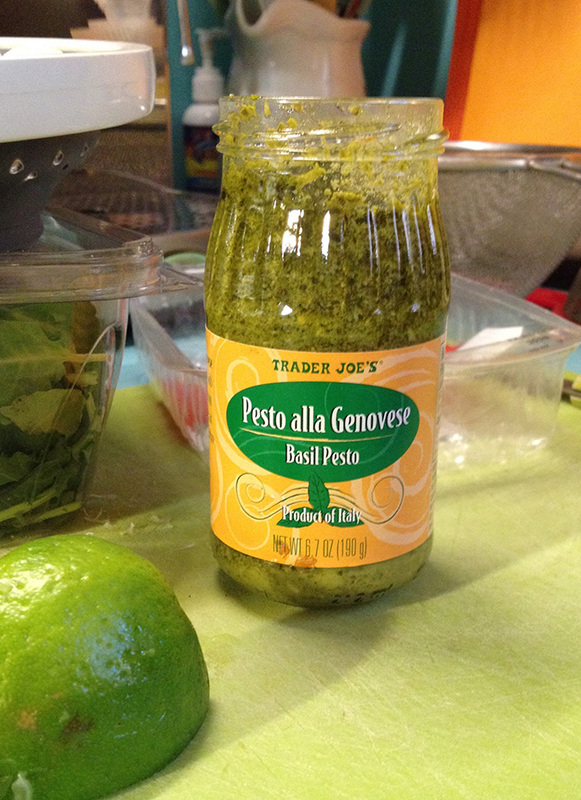 A jar of the Pesto Alla Genovese costs $2.49 (so figure 1/2 jar’s $1.25) So the dish costs less than $3 with 2 nice servings as a dinner, or about 4 as a side-dish. So its a good idea to keep these 2 handy items on hand in your pantry! The Gnocchi is shelf stable for months. 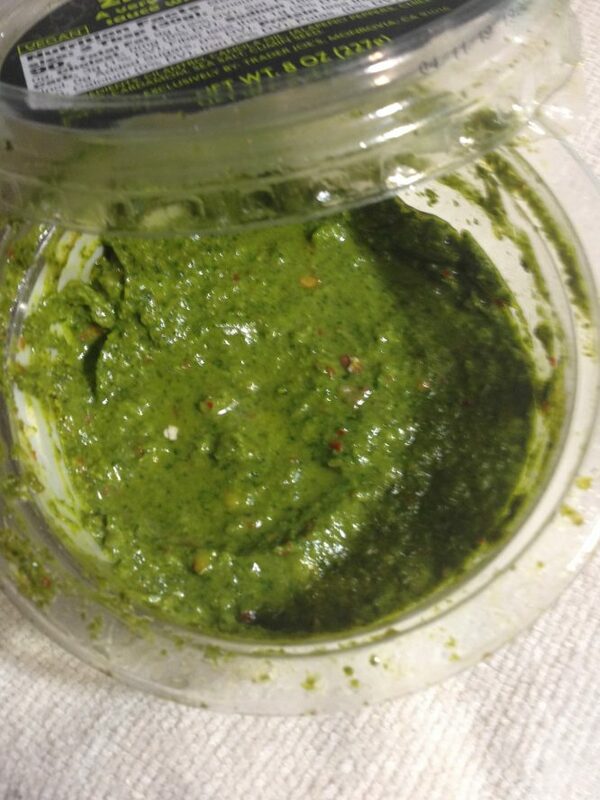 The Pesto once opened lasts a week or two in the fridge. Covering the pesto with some olive oil will help it keep a bit longer. The name of the bread is a wee bit of Hyperbole if you expect this to ooze like a Cinnabun. 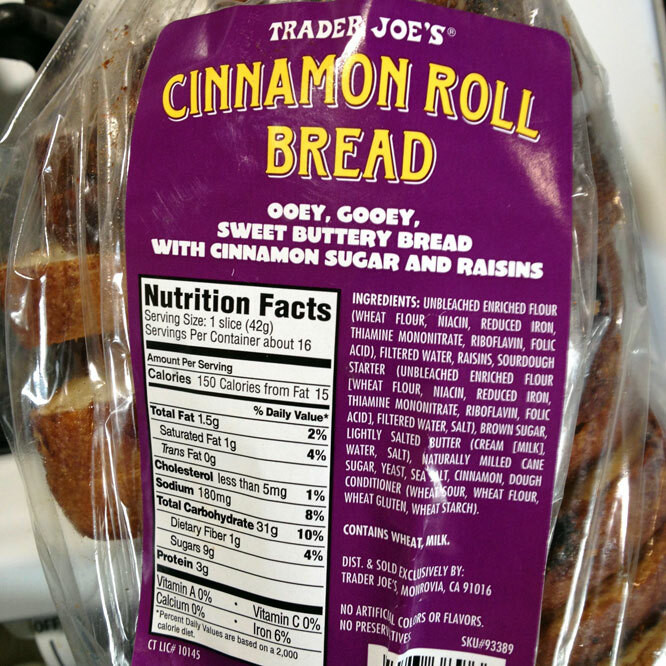 However this is very, very good raisin bread with lots of cinnamon flavor. 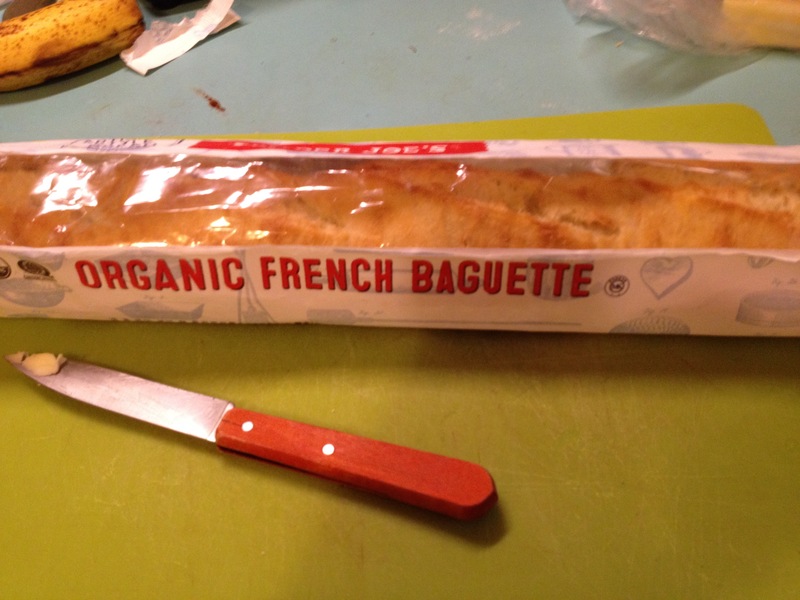 I love this bread, and it’s another of my Must Have In House products from TJ’s. The package says it’s “ooey, gooey…” but its not really ooey gooey, it’s just a tiny bit gooey which is fine if you want to put this in your toaster. Which you do! While it’s OK untoasted, you really must toast this bread up IMHO. 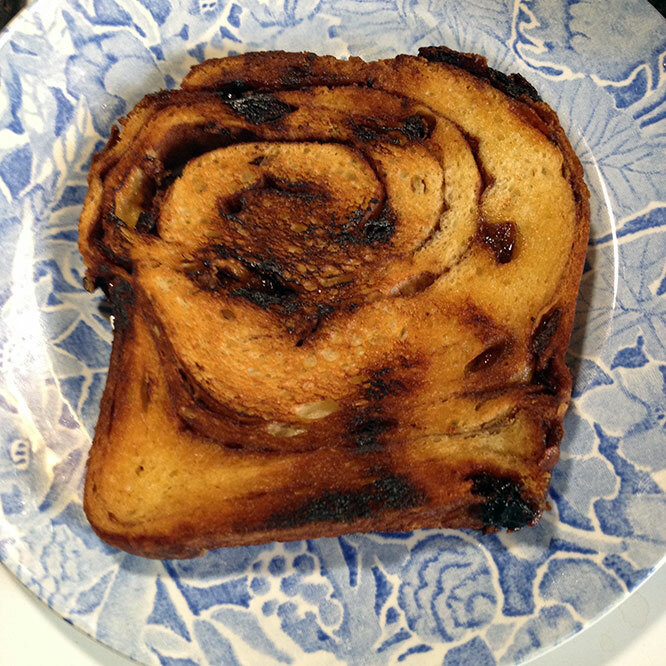 Only by toasting it do you get the full cinnamon / raisin flavor effect. The bread toast’s up to absolute yummy perfection (but be careful, keep your eye on it and be careful not to burn it or you’ll be sorry. Its a fine line from perfectly toasted to burnt toast and raisins! TIP: I go Full-On Maximum Cinnamon and once its toasted I put butter and a little Cinnamon and Sugar on it, and thats Heavenly. Really try it, just a sprinkle of cinnamon and some natural sugar. Or try: Cream Cheese and Dates chopped up (or more raisins or dried cranberries. Or by itself with some butter. Even thats good! 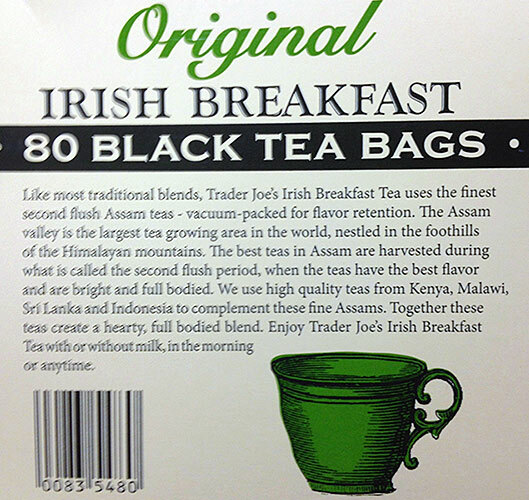 You can’t go wrong with this excellent product at breakfast time. 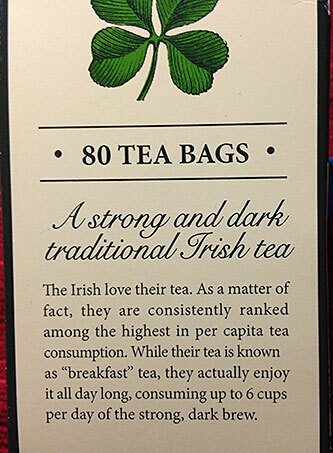 Your family will go nuts for it when they smell it. 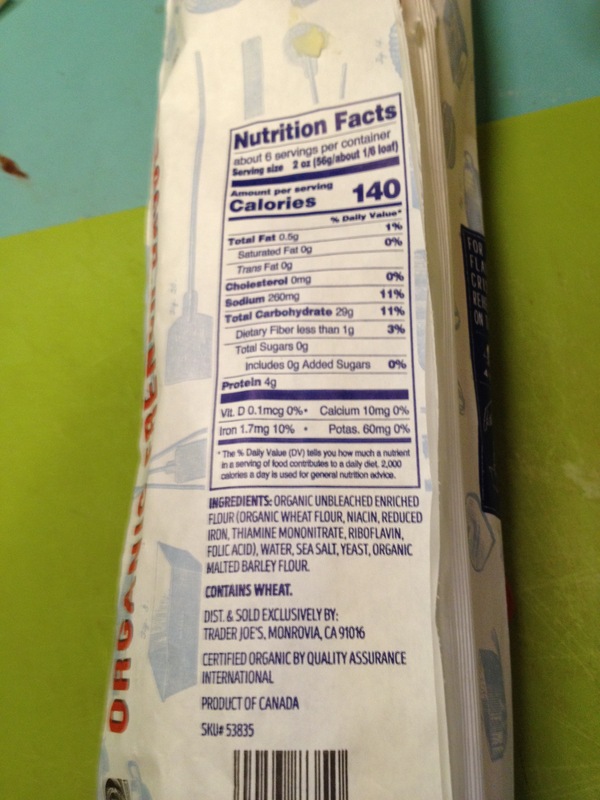 A 24 oz loaf goes for just $3.49. So another great TJ deal. I would recommend you freeze the bread and just take it out as you need it to toast it up. 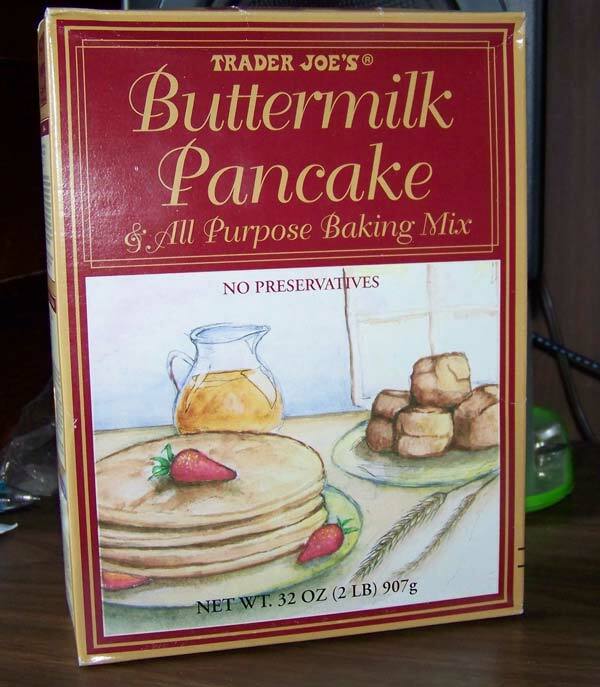 TIP #2 Sunday – I woke up thinking this would be great to make French Toast with. So I made it. Yup. It was fantastic for French Toast! A veteran of our line of frozen Indian entrées, Trader Joe’s Channa Masala is moderately spicy, belly-warming, and undeniably comforting—basically everything you’re looking for when it comes to cold weather cuisine. Paired with full-flavored Organic Roasted Tomato & Red Pepper Soup, it’s ready before you can ask “What’s for lunch?” (Well, almost.) Don’t forget to warm up Trader Joe’s Malabari Paratha for dipping! Add soup to a medium saucepan. Heat over medium-low, stirring occasionally. While soup heats, microwave channa masala according to package directions; stir. Divide soup among 4 shallow serving bowls. Divide channa masala and gently spoon atop center of soup. Garnish with a dollop of yogurt and a sprinkle of chopped parsley. Enjoy! 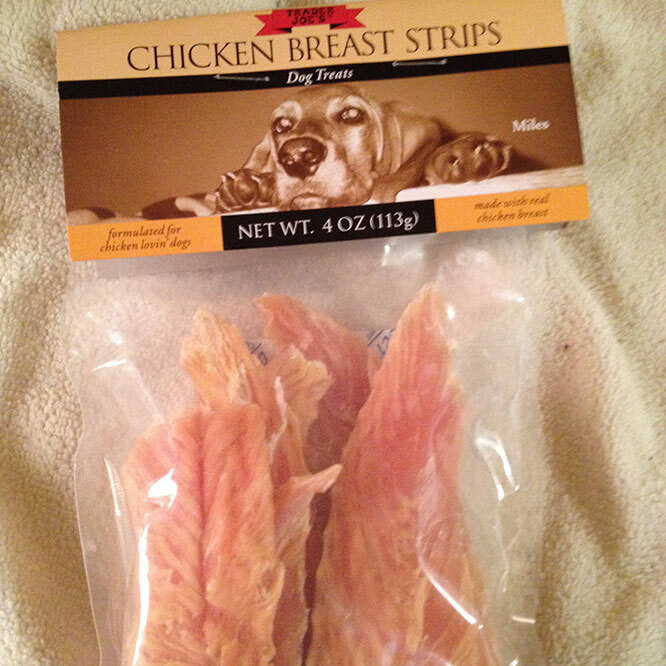 These are all natural, pieces of chicken that have been dried into strips. They are sold as Dog Treats. Now I don’t have a dog. But I have 2 cats. They love chicken. I thought I am going to get a pack of these “dog treats” and see if my cats like them. Did I say “see if they like them?” Who are we kidding? When I opened the package up, they could smell it instantly and went nuts, pawing at me to give it to them. Relax, I don’t give my cats a whole strip, first I break one into smaller pieces, easy to do as they have score marks on them. 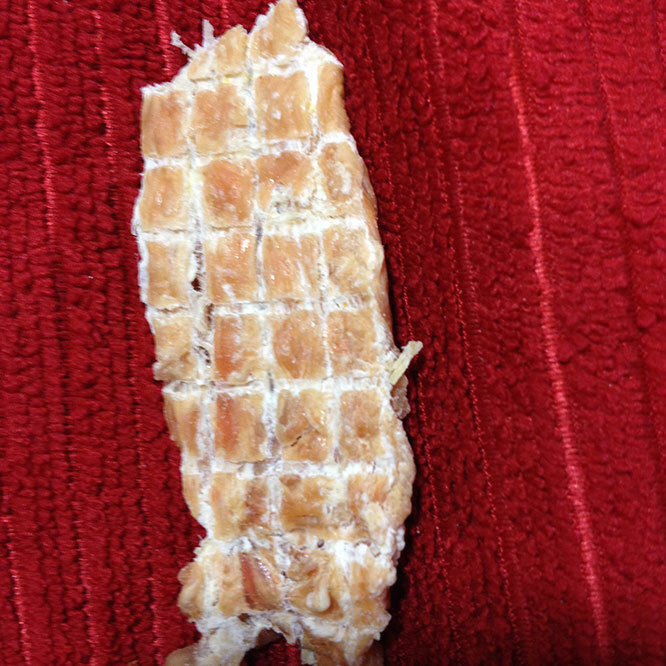 I gave some to my cats and they go crazy…chewing, chewing, chewing….crunching them up till they are gone as they devour these treats. Who says, “these are just for dogs”! One of my adopted cats came with some dental issues. I have been taking good care of his teeth and gums since I got him. A (holistic) Vet told me the act of chewing is the best thing for his teeth and gums. She suggested I give him raw organic chicken with tiny bones, and especially chicken necks as chewing up the chicken necks are really good for his teeth and gums, yes crunching up the little bones and all. 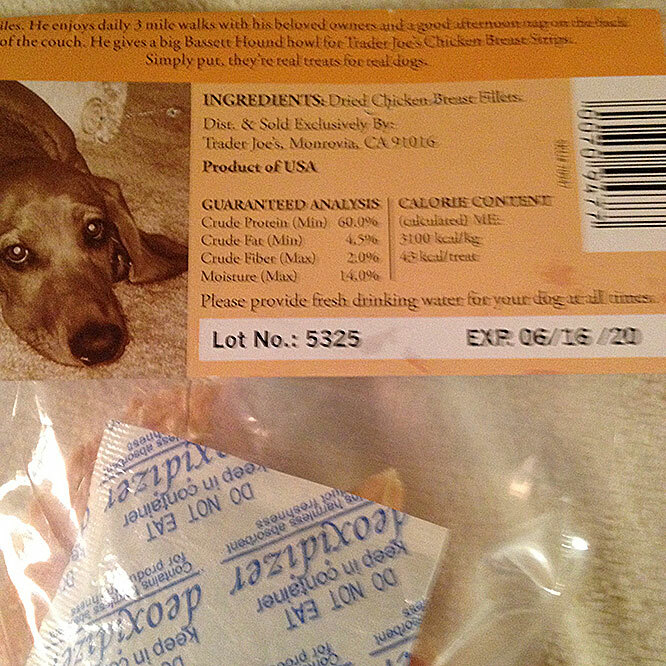 So I buy chicken necks but also give these dried strips which is very good chewing exercise. Summary: Great product. All natural. $4 a package. 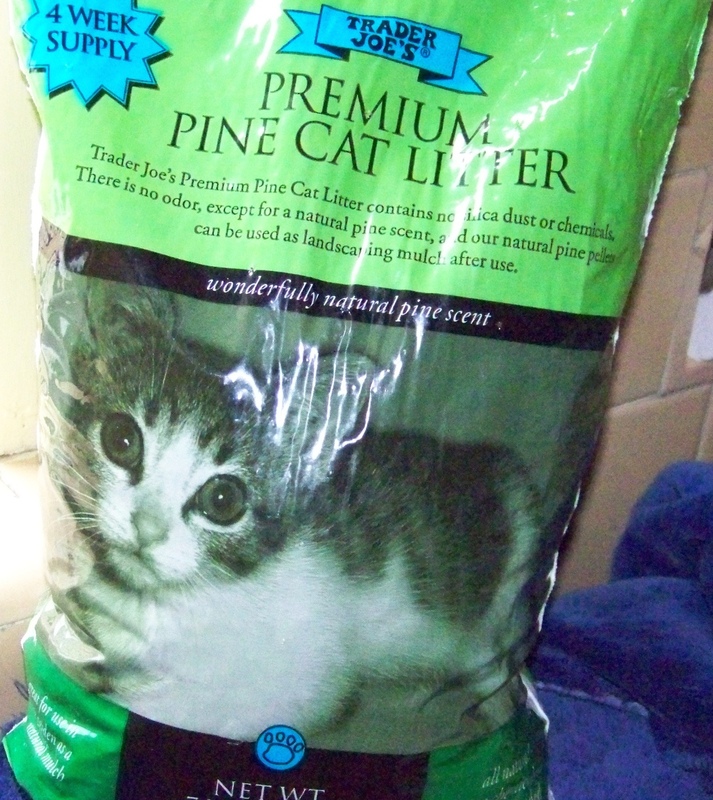 Whether you have a dog, or like me, cats, your pet will love these. If you give to your cat, just break up a piece into smaller pieces for them. NOTE: I gave one of these treats to my neighbors dog, and she loved it of course. So I’m saying these are good treats whether you have a dog or a cat! Equal Opportunity!! !